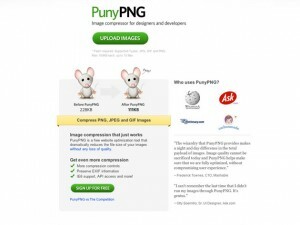 It uses with a side by side (dual view) or single viewinterface to compare the original with the optimized image in real time and instantly see the resulting file size. 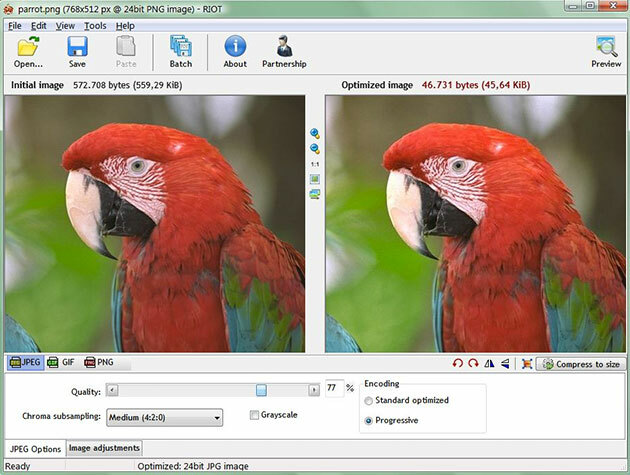 The image optimizer is lightweight, fast and simple to use, yet powerful for advanced users. 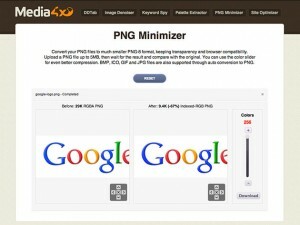 You will be able to control compression, number of colors, metadata settings and much more, and select image format (JPEG, GIF or PNG) for your output file.